Software development is a fast-changing field: good developers need to spend considerable time learning about new frameworks, architectures and design patterns. Mobile software development is still an autodidactic subject. Smart companies should therefore allocate a portion of their developers’ work hours to training and research — especially after major events such as Google IO and Apple’s Worldwide Developers Conference, where a lot of new technical information is released that needs to be processed. PSPDFKit is a PDF SDK that you’ve probably been using without even knowing it: it is incorporated by companies such as Dropbox, Evernote and many more. They also have a development blog in which they offer great details on how to solve common iOS tasks, like Self Sizing UITableView Cells and Using Signposts to Improve for Performance Tuning. 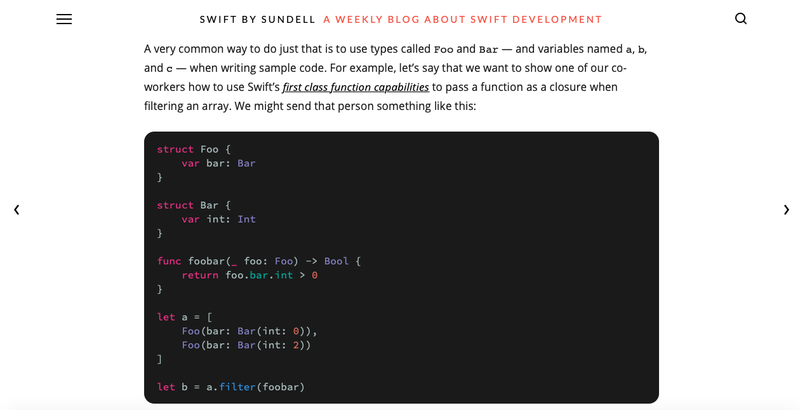 John Sundell is an iOS developer known for a variety of frequently used libraries such as Wrap and Unbox, which are now obsolete thanks to Swift’s Codable. John’s blog not only features many technical tips, but also deals with code formatting and how to write code that is easy to share with others. Another classic, founded by Mattt (sic) — the guy behind libraries like AFNetworking. This blog covers both Objective-C and Swift, as well as general development tools for iOS. 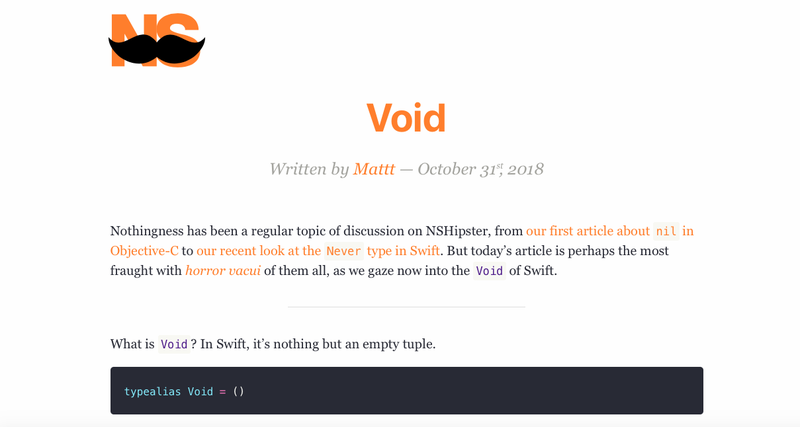 You want to know the difference between nil and void? You want to copy and paste between MacOS and the Simulator? NSHipster has you covered! Don’t let the name fool you! objc.io has entered the modern era and provides great tips for both Objective-C and Swift. Some of the content is even created by ex-apple employees. Unfortunately, certain information lies behind a paywall, but you’ll find a lot of useful reading in the free blog (e.g. lightweight observation). Also known for his iOS libraries such as Instagram’s IGListKit, Jesse posts about things he stumbles across while developing. 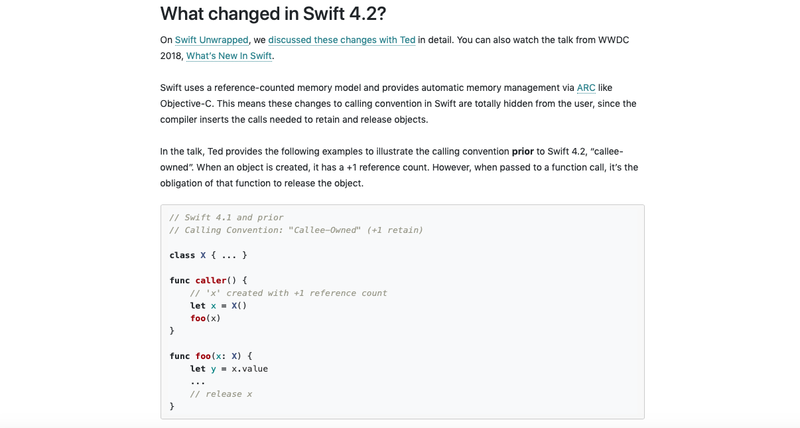 Swift calling conventions and compactMap are two of his recent blog contributions. Patrick Wolowicz is the founder of subzero.eu software and head of iOS at bikemap.net. He is also an entrepreneur in residence at speedinvest.com.